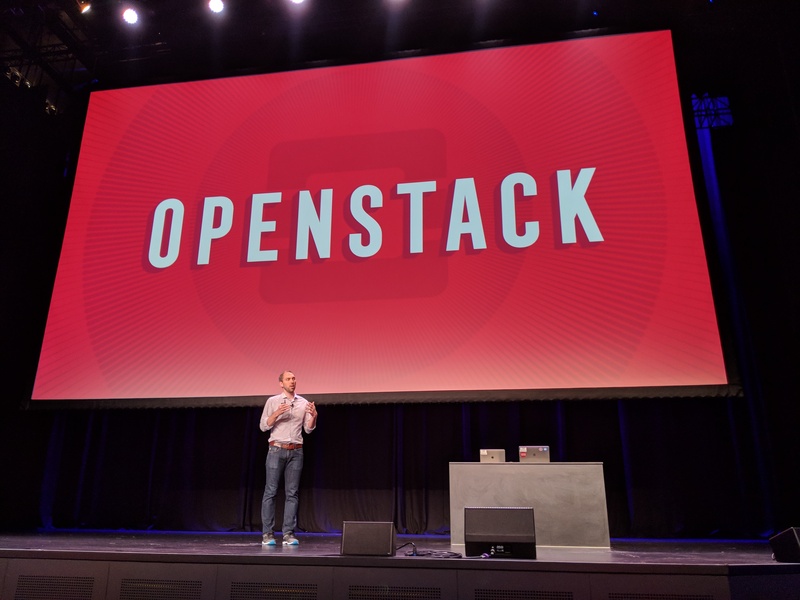 The OpenStack project, which powers more than 75 public and thousands of private clouds, launched the 19th version of its software this week. You’d think that after 19 updates to the open-source infrastructure platform, there really isn’t all that much new the various project teams could add, given that we’re talking about a rather stable code base here. There are actually a few new features in this release, though, as well as all the usual tweaks and feature improvements you’d expect. While the hype around OpenStack has died down, we’re still talking about a very active open-source project. On average, there were 155 commits per day during the Stein development cycle. As far as development activity goes, that keeps OpenStack on the same level as the Linux kernel and Chromium. Unsurprisingly, a lot of that development activity focused on Kubernetes and the tools to manage these container clusters. With this release, the team behind the OpenStack Kubernetes installer brought the launch time for a cluster down from about 10 minutes to five, regardless of the number of nodes. To further enhance Kubernetes support, OpenStack Stein also includes updates to Neutron, the project’s networking service, which now makes it easier to create virtual networking ports in bulk as containers are spun up, and Ironic, the bare-metal provisioning service. All of that is no surprise, given that according to the project’s latest survey, 61 percent of OpenStack deployments now use both Kubernetes and OpenStack in tandem. The update also includes a number of new networking features that are mostly targeted at the many telecom users. Indeed, over the course of the last few years, telcos have emerged as some of the most active OpenStack users as these companies are looking to modernize their infrastructure as part of their 5G rollouts. Besides the expected updates, though, there are also a few new and improved projects here that are worth noting. The first of these is Placement. “As people build a cloud and start to grow it and it becomes more broadly adopted within the organization, a lot of times, there are other requirements that come into play,” Bryce explained. “One of these things that was pretty simplistic at the beginning was how a request for a resource was actually placed on the underlying infrastructure in the data center.” But as users get more sophisticated, they often want to run specific workloads on machines with certain hardware requirements. These days, that’s often a specific GPU for a machine learning workload, for example. With Placement, that’s a bit easier now. It’s worth noting that OpenStack had some of this functionality before. The team, however, decided to uncouple it from the existing compute service and turn it into a more generic service that could then also be used more easily beyond the compute stack, turning it more into a kind of resource inventory and tracking tool. Then, there is also Blazer, a reservation service that offers OpenStack users something akin to AWS Reserved Instances. In a private cloud, the use case for a feature is a bit different, though. But as some of the private clouds got bigger, some users found that they needed to be able to guarantee resources to run some of their regular, overnight batch jobs or data analytics workloads, for example. As far as resource management goes, it’s also worth highlighting Sahara, which now makes it easier to provision Hadoop clusters on OpenStack. As usual, this release launched only a few weeks before the OpenStack Foundation hosts its bi-annual Summit in Denver. Since the OpenStack Foundation has expanded its scope beyond the OpenStack project, though, this event also focuses on a broader range of topics around open-source infrastructure. It’ll be interesting to see how this will change the dynamics at the event. Posted in Software Development and tagged cloud computing, denver, Enterprise, Kubernetes, linux, machine learning, metal, mirantis, openstack, openstack foundation.